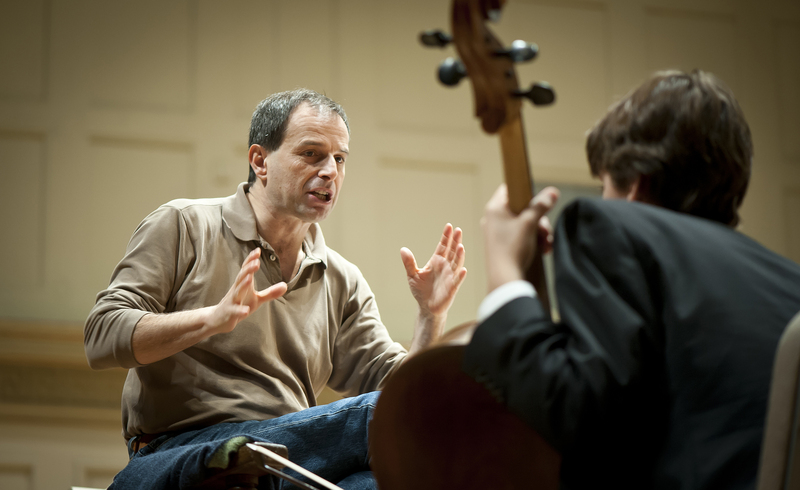 Conductor of a student orchestra gives instructions to a male student at Boston Symphony Hall. Conductor of a student orchestra gives instructions to a male student at Boston Symphony Hall. The images was used for commercial advertising. Image done using available light.